This past weekend I had a major breakthrough. But to tell you about this is going to take some BIG transparency. Because even though I’m intuitive with animals, even though I TEACH this stuff every day, there are still places where I struggle. And taking my dog offleash is one of those places. Waaaay back, more than twenty years ago, Kevin and I had a dog named Mabel. We had rescued her from Angel Memorial in Boston, MA. She was a six month old pitbul that had been very abused. We figured this out because whenever she saw any man of a certain coloring, clothing, and height – she turned into a snarling beast. Even harder was the fact that, if Mabel didn’t like another dog, she would go for the dog’s throat and try to kill the other dog. She almost killed our in-law’s dog in fact. We had to learn how to break up dog fights, how do avid other dogs, and how to manage our energy when out in the world with her, because she was SO sensitive to every thought and feeling we had. 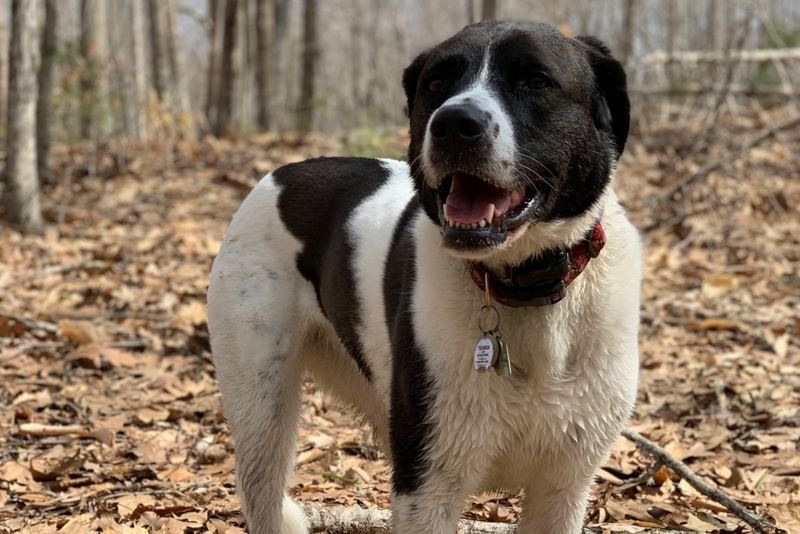 Zoom forward to more than twenty years later and I still have some fears around letting our most recent dog, Tuukka, off leash. She is not a fighter – in fact, she would prefer to run between my legs and hide when she meets an off-color dog. The problem, though is ME. I get tense. I get worried. And I REMEMBER the past. The way that I’ve dealt with that, until now, is to always have Kevin with me when we go for offleash walks. That’s right. For twenty years and three subsequent dogs, I don’t do offleash walks without my husband. And it all went well. In fact, I wasn’t worried at all! 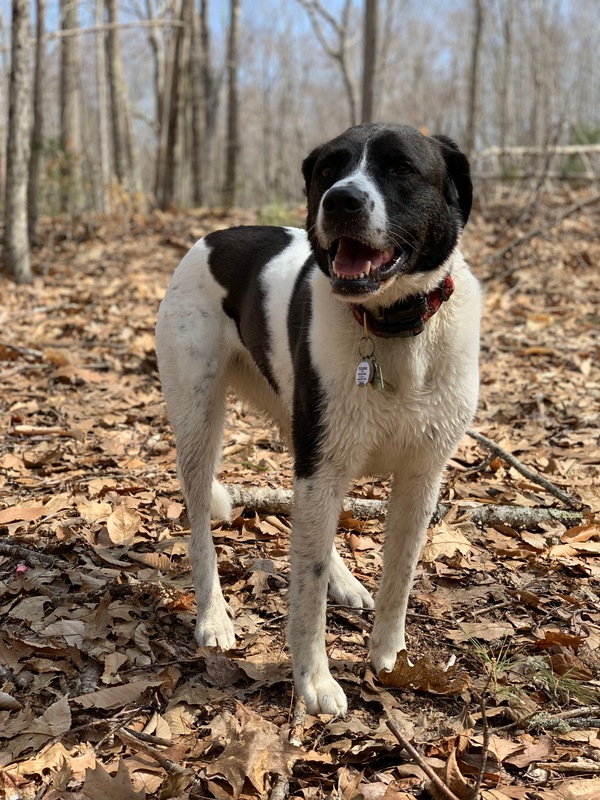 It was a big leap for me to trust that I could manage my energy and take Tuukka off leash – and I’m so glad that I did! Is there some “activity” you’ve been avoiding with your pet due to past fears? Just like Tuukka, your pet will help you get through that – if you give it a try. Yes. Scared to take my 100lb German Shepherd for walks because he turns into a pulling violent beast when he sees another dog. Yet he is a cream puff at home with my other two dogs and was not like this until this past year or so. In Petco yesterday he sounded like a police dog, even just seeing a new puppy. It’s a problem! I’m moving soon and hope he doesn’t go after any of my neighbors, nor their dogs. One family right next door has 5 black labs and no fence. I will have a fence. I am curious … why type of collar do you have on your dog pictured above? We have a special collar that looks like a driver’s license. All of the proceeds from the collar go to charity so I love it! I avoid having people over. Goat Cheese (Cochise) is defensive. But only if the person coming over bugs me/is off. I had a friend come over last weekend. Goat Cheese LOVED HER! When my next door neighbor comes over (she’s a bit off kilter), he does not like her at all. I wonder if he’s reading that my heart is a bit closed to her. Love your story! Patty D.
Everything was fine until my partner called me to say he was coming home a night earlier than planned and before I knew it the dogs were locked on with me caught in the middle with the leads wrapped around my legs. It lasted 20 mins and only stopped because I managed to ring my farmer neighbour. The moment he arrived they stopped as his truck is the same as my partners. I can only assume they thought it was him. It’s very scary and I have no intention of walking them together again without my partner. It’s just very tricky when I’m home alone and trying to fit 4 walks and a job into the day.